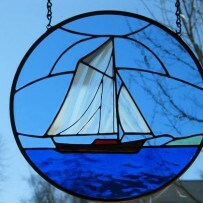 Lawrence Ribbecke Studios is Vermont's premier source for Stained Glass Windows and Decorative Panels. 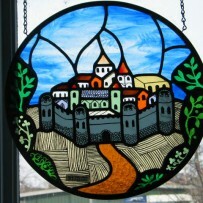 Vermont's Largest Supplier of Stained Glass Materials. 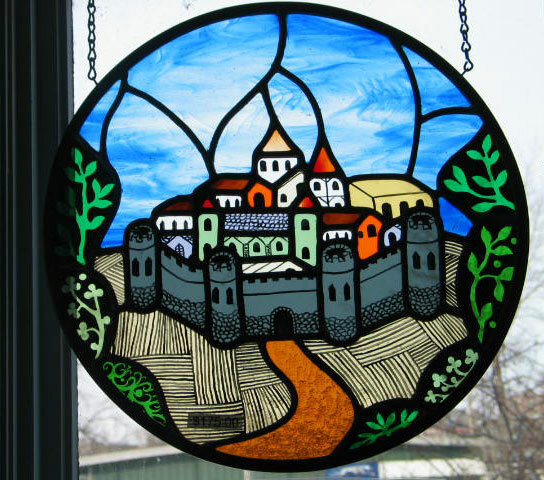 Lawrence Ribbecke is a Master Craftsman with nearly forty year's experience in the design, manufacture and repair of stained glass of all kinds. He and his assistants have completed thousands of projects for homes, churches, and public buildings including schools, businesses, hotels and restaurants. 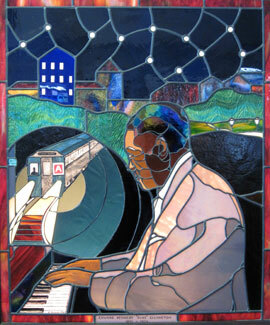 His clients include builders, architects, church clergy and administrators, and many homeowners. 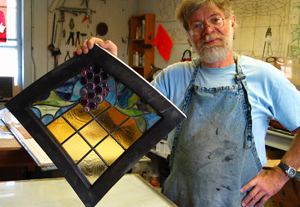 Lawrence Ribbecke's projects have included major Stained Glass Window restorations as well as commissions to design, build and install large new Stained Glass Windows for churches around New England, and also many windows for private residences, including door sidelights and transoms, windows for bathrooms, bedrooms, sunrooms and living rooms. Ribbecke has the capability to work with wood or metal sashes and frames, and to add or incorporate insulating glass or other protective glass to his windows. 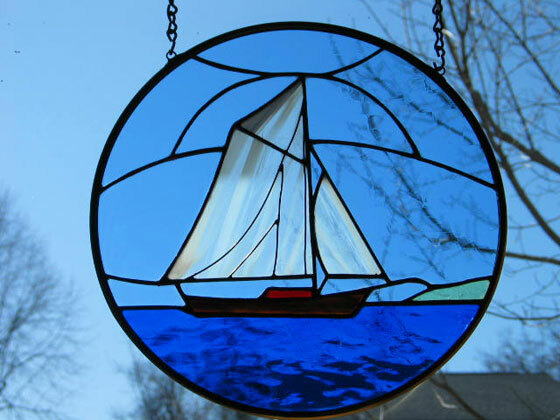 In three Burlington Vermont buildings he maintains his Stained Glass Studio and also a retail store in which he offers tools, books, and craft supplies and materials for sale. 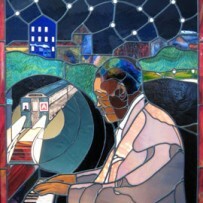 In the separate warehouse he offers large sheets of colored Opalescent Glass, Cathedral glass, blown and drawn Antique Glass, and a very large inventory of specialty clear and patterned glasses for kitchen and bathroom cabinets. In a third building he maintains a small but well-equipped wood and machine shop for special architectural projects. He is noted as an admirer of American and European historical styles, but as a designer he does not limit his windows by relying only on the past. Along with history and tradition, he often incorporates contemporary ideas and materials into his designs.